We are very close to Baker Street, and today it's been 90 years since Agatha Christie disappear. Also it's 2016. It's the right place and time to tackle a mystery. Which is why every single language starts with teaching you how to print "Hello world" to a console. 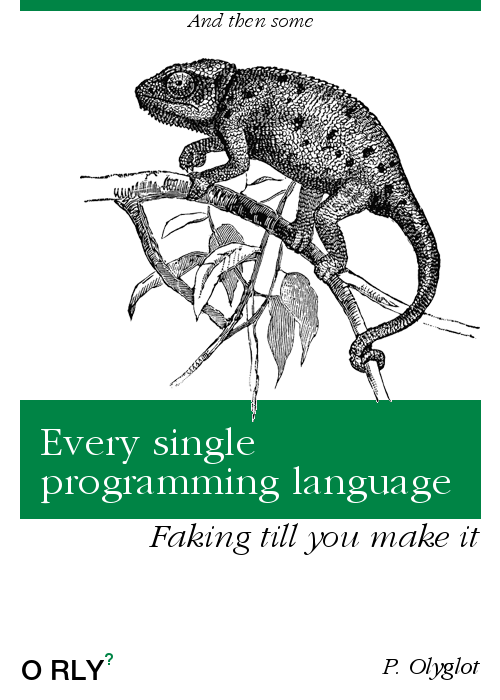 You still have to learn new stuff, and that's most likely the book you are using. How many of you don't have formal computer science training? You can't probably figure out this one... but maybe you should. It's functional, pretty few formal learning includes functional. That's why maybe, just maybe, you, and me, and everyone, needs a new way of doing this. Why would anyone want to follow this manifesto? Perl is great, paradigm-agnostic. Only it's not popular. Which we don't really care. But it's an issue if we want a vibrant, diverse, great community.